Father Eamonn is the Parish Priest at Christ the King Church. His parents hail from the West of Ireland. When a student in Wales in the early eighties he experienced the transforming grace of the Holy Spirit. After a few years of work including time with a Catholic community in London he became open to a call to the priesthood. He trained at St. Mary’s College, Oscott (a mile from here!) and was ordained to the priesthood in June 1995 at SS Joseph and Helen, Kings Norton, Birmingham (where he was baptised). His late Aunt Rita was familiar with the parish of Christ the King as her husband Patrick Reardon’s parents lived in Petersham Road. After ordination, He served in a parish in Redditch where there were three primary schools. From there, he worked for five years with the Birmingham Catholic Youth Service living and helping out at St. Josephs, Nechells and later at Our Lady and St. Wulstan, Southam. In 2004, he became Parish Priest at St. Patrick’s, Wolverhampton serving as Chaplain at the local hospital. Jack was born in Kingstanding and has always lived there, or close by. He went to Cranbourne Road school (which is now known as Kingsthorne) and then to King Edwards, Aston; leaving in 1967 to join GPO Telephones as an apprentice. After many different jobs within the company, he retired from BT in 2008. In April 1972, he married Kathleen at Christ the King. They were blessed with two sons who are both married and have between them given them three grandsons and twin granddaughters who take up a great deal of their time and energy! He was Christened at St Luke’s. However, it was only after they had a family that he started to go to church at Christ the King regularly. Jack became more involved with the church community by helping to organise social events. His interest continued to grow and, after attending the Journey in Faith evenings, he was received into full Communion with the Catholic Church in 1989. In 1993 he was invited to became a School Governor for the primary school. He accepted the invitation and served for ten years. He joined the SVP in 2005 and then felt a calling to do more for the Church. In 2008, Jack began four years of formation and training for the Permanent Diaconate leading to Ordination in July 2012. 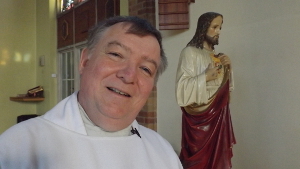 Father Peter was appointed to assist at the parishes of Christ the king and Our Lady of the Assumption in May 2015. As well as to continue his research and writing focusing on the letters of Blessed John Henry Newman for the diocese and beyond. His mother was from Cannock Chase and his father from Sunderland. Before sensing that God was calling him to be a priest he worked in a bank for six years which gave him invaluable experience of dealing with people. He trained at St Mary’s College, Oscott (where he later lectured for many years part-time) and at the American College in Leuven, Belgium. He was ordained at St Dunstan’s King’s Heath in July 1991 and served as a curate at St John the evangelist in Banbury. Since then he has, while ministering both as a University and School Chaplain a number of times, supported parishes in Birmingham: Handsworth, Pype Hayes, Shard End and Small Heath. He has also contributed to the work of the Bishops’ Conference of England and Wales in the fields of Catholic Education, Public Life, and Bioethics. 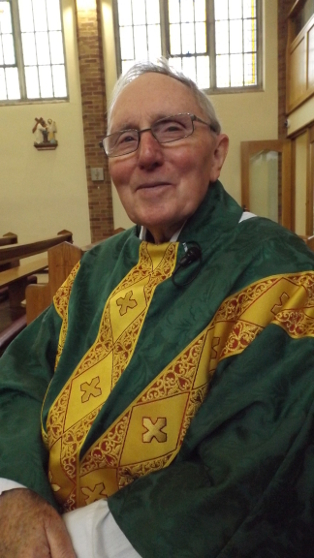 Between 2004 and 2010 he was parish priest of Mother of God and Guardian Angels, Shard End. Most recently he was based in Tile Hill, Coventry where he undertook phd studies at Leicester University. Father David's parents hail from South West Ireland. Having finished National Service, he sensed a call to the priesthood when in Lourdes; he gave up his plans to study dentistry and began training at St Mary’s College, Oscott being ordained in 1965. His pastoral service included spells in parishes in Perry Barr, Birmingham, Gloucester, Wolverhampton, Coventry, prefect of discipline at Cotton College with his first parish at Ilmington followed by nine memorable years at Chasetown where many prayer and renewal groups and conferences started across the Archdiocese of Birmingham. 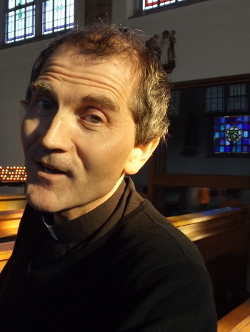 Following six blessed years at St Peter’s Leamington Spa, Fr David founded the Ark of the Covenant centre in Potters Green Coventry a Diocesan centre of prayer and Evangelisation that brought healing and spiritual growth to many. Following a year at Brewood, Fr David blessed us by his presence and vast pastoral experience at Christ the King. 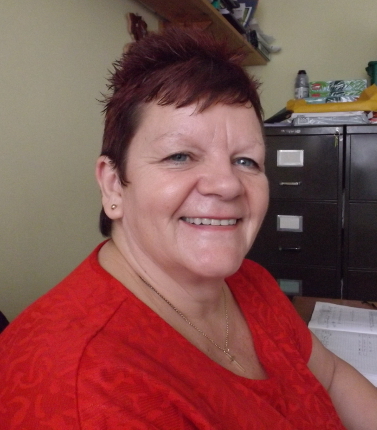 Jo has worked in administration since leaving school until 2006 after being made redundant from her job. She was educated at Maryvale Primary School then at Cardinal Wiseman School. When living in Great Barr she was a regular parishioner of Maryvale Church and then in 1986 she moved to Kingstanding and became involved at Christ the King Church. In 2006 Jo started voluntary work here with Fr Michael White, after a week she became the Administrator for Christ the King Church and enjoys her work here very much. This year, she celebrates her 10th year as administrator for Christ the King Church! She does the day to day running of the office and sees to the appointments for baptisms, weddings and funerals. She creates the weekly newsletters and organises mass intentions, fundraising and the parish social events. In the last few years, Jo has also taken on the administration for Our Lady of the Assumption, Maryvale. Jo is also an Altar Server and organises the Altar Servers for Christ the King School Masses. Jo is very well known throughout Christ the King and Maryvale Parishes. One of Jo's great passions is meeting and helping our Parishioners and is dedicated to Christ the King Church.